We asked you to let us know in five words or less why you love Stokes. Thank you to each and every one of you who sent us your thoughts – we had an overwhelming response. The fabulous entries were hugely varied and there were far too many to list them all. Some made us smile –“Stokes, for girls and blokes!” – and some didn’t mince their words - “Just bloody Delish!”. 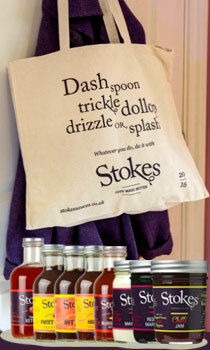 Our top three favourites came fromFrances, David andJanewho will be contacted and sent a Stokes Shopping Bag plus 9 seasonal sauces.